Founded in 2003, SLG has built its reputation representing clients in a broad range of high-stakes matters. 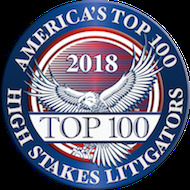 Whether representing investors, institutions, or financial professionals in complex securities matters, assisting trustees or beneficiaries in multimillion dollar estate and trust litigation, or guiding businesses through high stakes commercial litigation, SLG has established itself as one of California’s premier litigation boutiques. SLG was founded by Alan Sparer after 20 years with a large San Francisco law firm, and its lawyers are all former big firm lawyers with decades of experience providing clients with the highest quality legal representation. SLG has recovered hundreds of millions of dollars for a diverse group of high net worth investors, including individuals, family partnerships, trusts, and family offices. SLG offers specialized expertise dealing with complex financial instruments, including collateralized debt obligations, auction rate securities, swaps, inverse floating rate securities, junk bonds, private equity, and venture capital investments. The firm is lead counsel in a class action that recently recovered over $50 million in investor losses relating to the Oppenheimer California Municipal Fund, which lost over 40% of its value in 2008, making it the worst performing single state municipal bond fund in history. Through its securities regulatory practice, SLG represents financial professionals, including registered investment advisors, brokers, hedge funds, and fund managers who face potential adverse action from the SEC, FINRA, or state regulators. Investment advisors are subject to increasingly strict oversight in areas such as offering disclosures, pay-to-play agreements, referral fees, cybersecurity risk management, valuation of illiquid or alternative investments, and very recently bitcoin ICO transactions. The SEC also has stepped up examinations of investment advisors and funds that previously escaped regulatory oversight. State regulators, such as California’s Department of Business Oversight, also are expanding their audit activities directed to financial advisors who are subject to state oversight under the Dodd-Frank Act. Securities regulatory audits and investigations demand a practical approach. SLG provides a thorough and forceful defense while engaging in a dialogue aimed to produce an efficient and favorable resolution with litigation. Our attorneys have successfully resolved alleged violations of the Investment Advisors Act of 1940, federal securities laws, and state Blue Sky laws. Regulatory investigations and actions often lead to investor lawsuits. SLG has successfully represented officers, directors, and investment advisors in securities lawsuits alleging breach of fiduciary duty, violation of securities laws, or as in recent Ponzi scheme cases, in actions seeking to “claw back” phantom gains. If litigation is required, SLG has the expertise to effectively defend clients in federal and state court proceedings and arbitrations. As Baby Boomers age, there has been a significant increase in litigation relating to the investment or disposition of family assets, including claims of undue influence, elder abuse, and successor or co-trustee liability. SLG represents trustees and beneficiaries in trust and probate disputes, always remaining acutely sensitive to the personal relationships that may be at stake. SLG prides itself on crafting solutions to these disputes that preserve those relationships while obtaining the best possible outcome for our clients. SLG also has experience investigating and resolving problems that emerge from individual family and multi-family offices. Wealth management through a family office arrangement can be effective and convenient, but it also creates the opportunity for undisclosed conflicts of interest, mismanagement, and occasionally outright fraud. SLG is experienced in evaluating family office arrangements and working with families or their advisors to solve problems and resolve disputes on a confidential basis, or by means of arbitration or mediation, if appropriate. Anyone who runs a business understands that certain disputes cannot be resolved amicably. SLG provides businesses with the quality of representation found at big firms without running up big firm fees. SLG lawyers have decades of experience litigating a spectrum of complex disputes across a wide range of industries. They have successfully represented clients in court and in arbitration in litigation arising from breach of contract, the sale and valuation of businesses and corporate assets, misappropriation of trade secrets, business fraud and theft, insurance coverage for environmental injuries and business torts, and professional liability of health care providers, architects, and lawyers. SLG regularly represents individuals and businesses faced with complex real estate-related issues. Real estate projects, financing, or investment structures can result in mixed questions of real estate and securities law that require a familiarity with state securities regulations as well as real estate laws. SLG’s expertise in the securities arena offers a breadth of experience and a perspective that can be critical to finding cost effective solutions. In addition, SLG’s lawyers have experience addressing environmental, land use, and historical preservation issues that may arise from real estate development activities. SLG offers alternative and contingent fee arrangements, including blended hourly and contingent rates, results-based billing, and fixed fee engagements. Its hourly fees are generally one-third less than rates at large firms in San Francisco, Los Angeles, and New York.